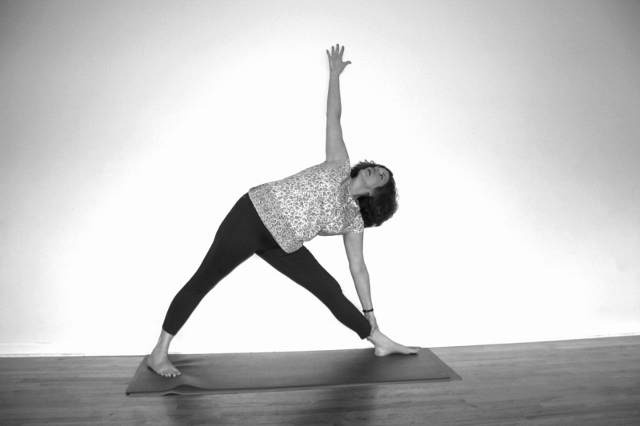 Like many people, Jen Meehan came to the Iyengar style of yoga seeking relief from years of chronic back pain. After being diagnosed with scoliosis in her mid-forties, she researched non-surgical remedies for her spinal condition and discovered the Iyengar style of yoga. She was drawn to its attention to alignment and the use of props to make the poses accessible to all students, regardless of age, body type and physical condition. She completed the 200-hr teacher training at Karuna Center for Yoga and Healing Arts in Northampton, MA. In 2016, she completed Certified Senior Iyengar Teacher Elise Browning Miller’s Yoga for Scoliosis Teacher Training Program and is a Certified Yoga for Scoliosis Trainer. In addition to teaching regular classes at the Yoga Loft in Albany, NY and the Cultural Center in Athens, NY, Jen offers workshops on Yoga for Back Care. Jen also works with students on an individual basis, helping them develop a practice that works best for their physical needs. She frequently leads open community classes where 100% of the class proceeds are donated to local charitable organizations. Jen is registered with the Yoga Alliance and is a member of Iyengar National Yoga Association of the United States. She is available for group classes, workshops and private lessons in the upstate New York Capital District area.